Demo unit items are in perfect working condition. Opened for store display. Comes with original packaging, and full manufacturer warranty. 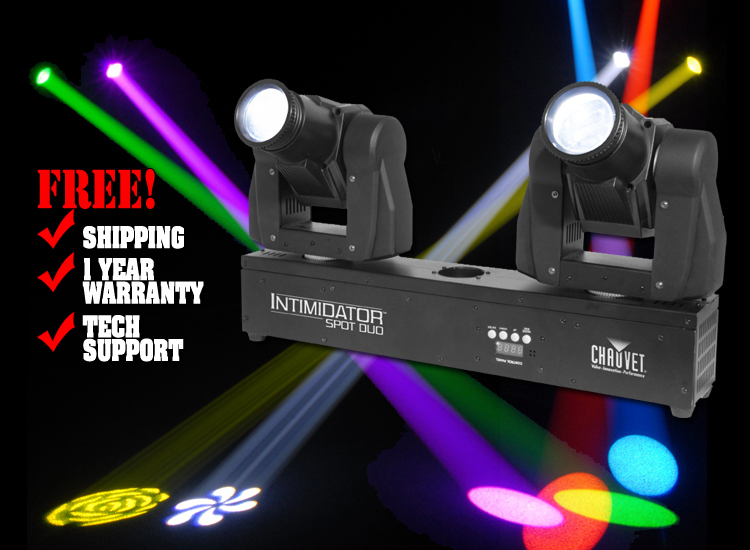 Intimidator™ Spot Duo 155 features two fully and independently controllable moving heads mounted on an easy-to-rig bar. Slide it onto a tripod, clamp it to truss or set it on the floor. 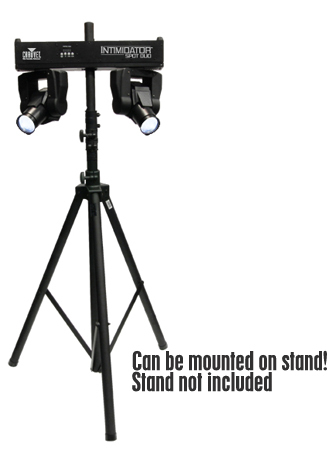 This high performance duo is linkable with up to four other units to create eye-catching synchronized shows. 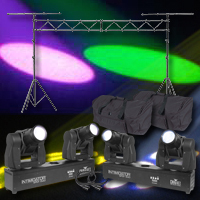 Independent color and gobo wheels create numerous projections and mid-air effects, while DMX control allows for independent control of each head.